Its spring and most of the days are warm* and getting warmer. You’ve probably noticed the current issues of monthly pattern magazines are showing off flow-y, drape-y openwork patterns. Its like this is the official time of year for lace. I know my brain was been in lace-mode for at least a month. It certainly is pretty. Lace evokes a feeling of romance and tradition. Delicate and intricate in a way that most modern things are not, lace feels old-fashioned. But its old-fashioned in a good way. To most people, to the untrained eye, all handmade lace is “vintage” chic. It can be hard. There is simple lace and really freaking complicated lace and everything in between. Let’s all just admit that knitting up lace is inherently more complicated than knitting in plain stockinette or garter stitch. I distinctly remember my very first lace knit. I only did it because it was a commission, my first commission ever (I got paid in yarn). It was a simple lace, nothing too complicated, with four rows on repeat. I was working with a rugged cotton yarn made from recycled blue jeans. It was the kind of yarn that made for terrible lace and every k2tog was a struggle. But it was a commission and I pushed through. After it was done I simply had to work the same pattern in a soft wool just to see.. and yes… that second one came out like the picture; like the way it was intended. As a whole, the experience was at first very frustrating and then very satisfying and it convinced me that I was perfectly capable of making lace with my knitting needles whenever I wanted. If you’ve never made lace because its intimidating, I think you should pick a simple pattern and give it a whirl. Overcoming the lace hurdle will give you a big boost in confidence. Once you’ve made a lace project, you’ll look at your pattern books and those monthly pattern magazines with a whole new eye. I’m going to go ahead and promote one of my own patterns here. A few weeks back I published Chromatism. 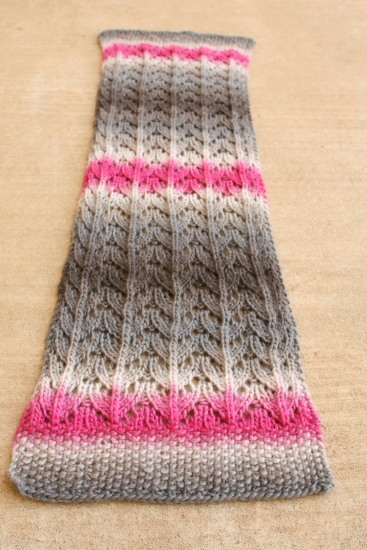 Its a one-skein cowl in horseshoe lace. 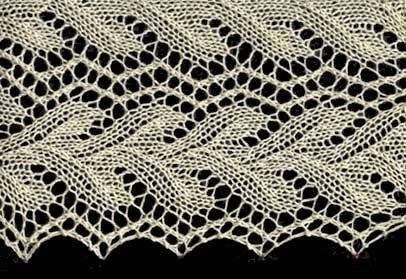 The lace is made with one type of increase (yarn overs) and one type of decrease (centered double). Its 6 rows on repeat. And of course the pattern is free. The lace shown at the top of this post is called Perfection Leaf Lace. Its also a freebie and you can grab a copy of it at that link. But I’m not going to stop there. I think that if you are here, reading this article, then you are looking for more than just a pattern to get you started. After all, you can hit those pattern databases yourself and find a free pattern to try right? Right. What you really want is a context for lace knitting. What would help is to be gently eased into that big beautiful world of lace. You want some background. Some general information. Some inspiration. I got ya covered. 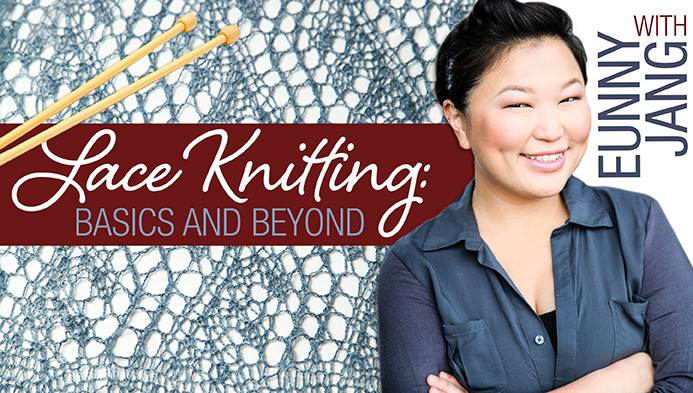 Whether you are brand spanking new to lace or feeling pretty confident about the subject, I think you’ll find something useful in the two free resources for lace knitters that I’ve dug up. I highly recommend them to anyone interested in making lace with two pointy sticks. * The days are warm enough that nearly everyone I see is wearing short sleeves and sandals. I am not wearing those things. I am still in long sleeves, cowgirl boots, and covering up with knit wraps. Some days I have a knit hat stuffed in my bag. There is a jacket that lives in my truck just in case I need it because I really a human-lizard mutant and at least 50% cold-blooded. But I still like lace. Chances are pretty good that you’ve heard of Eunny Jang. 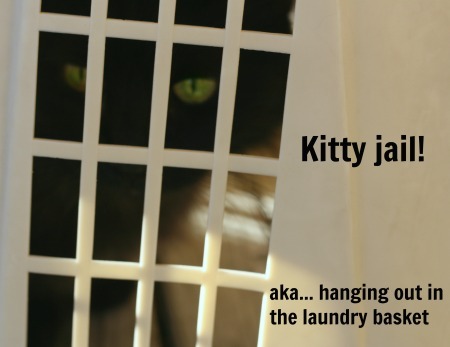 She used to be an editor for Interweave Knits and Knit Wear magazines. She was the host of Knitting Daily TV. She is a boss knitter. And she published a four part series on her blog called Majoring in Lace. She does a great job of taking the mystery out of it all. Right away she explains the difference between lace knitting (all the increases and decrease happen on the right side rows) and knitted lace (increases and decreases happen on both right side and wrong side) and why those terms really don’t matter much in the practical making of lace. Many people call lace by different names based on how often patterning occurs – “lace knitting” for every other row, “knitted lace” for every row – but I don’t care to do so. I can’t find any historical basis for it beyond an offhand reference by Margeret Stove, and as many complete pieces (shawls, scarves, robes) combine the two, there doesn’t seem to be much point other than to declare that one is more authentic or difficult than the other. For the record, “knitted lace” isn’t any harder to do than “lace knitting”; it’s just a tiny bit more awkward at first to catch a YO loop in a decrease. Yes. Exactly. Spoken like someone who wants to open up the world of lace to new knitters rather than puff themselves off as an expert. The series is dense. By that I mean its densely packed with information. Its not eye candy. This four-part series could easily be reformatted into an introductory chapter of a lace pattern book. You’ll find information on why animal fibers make batter lace than plant fibers, how to use gauge to get the look and style you like, help for reading charts, the basic stitches, and more. I’ve read how-to books on lace knitting that don’t include the wealth of detail that you can find in this free blog series. So I recommend that you give it a look. Or you might prefer Eunny Jang’s online Craftsy class. Let’s face it, learning from a text source isn’t for everyone and you might get more out of her video class. Eunny is a natural at teaching through digital media. After all she hosted Knitting Daily TV for 11 years. Her class on lace knitting is normally $39.99 but at the time of this writing its $19.99. As I said in past posts, never buy a Craftsy class at its full price because they go on sale all the time. Well this one is on sale now so if you’re interested, now it the time to get it. 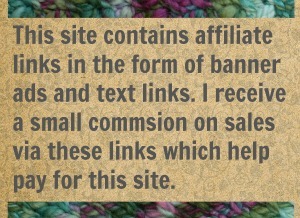 Back in 2006 Knitting Beyond the Hebrides hosted an online symposium for lace knitting. One of the resources still available from that event is an online document called The Same but Different that delves into the Shetland lace knitting tradition while comparing it to lace knitting traditions from around the world. Here is lace taught from a cultural perspective, instead of the traditional way of focusing on mechanics. Its all the same subject material presented in a way that eases you into the business of lace knitting through its history. Just let Ms. Lovick take you along. She’ll show you that every knit tradition has their own version of lace diamonds, of Old Shale, of horseshoe lace. Her focus is on the Shetland tradition and she’s showing you how it compares to the other grand lace traditions. By the time you finish her 16 page illustrated guide through the world of lace, you’ll know more history than you did before and you’ll feel so comfortable with it all that you’re ready for one of her three free patterns. Or possibly all of them. 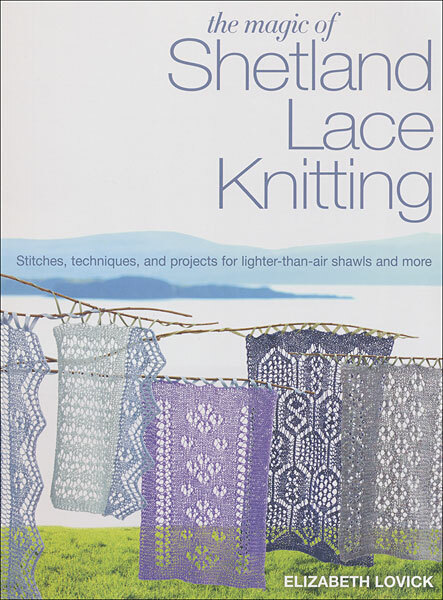 After you’ve gobbled that up you can check out her book The Magic of Shetland Lace Knitting. There are 7 projects and its heavily illustrated. She’ll take you from yarn-overs to making real Shetland lace in one book. I’d characterize this as a knitting resource book… with patterns. The Stitch Directory alone is 70 pages. Honestly it can be a bit intimating to the less than experienced lace knitter, until you realize that you are exploring and learning rather than just sitting down to work a pattern. If that way of knitting appeals to you, this will be a good book. But if you’ve read through her The Same but Different guide, you’ll be ready for her unique style and it won’t phase you. Did you make it all the way to the end of this post? Huh. I thought for certain you’d be off exploring those two wonderful and FREE resources for lace knitting. I hope you do. And I hope they give you the confidence you need to decide that you too can make lace with two pointy sticks any time you like. 8 Comments on "For knitters ready to make lace"
Beautiful and I love it all. but way way way beyond my skill. Well, thanks. But lace will always be there when you change your mind and decide to give it a try! I bought magestic cable needles (through your affilate i hope! If not i really tried to…) and i just wanted to let you know the cable is as awesome as you said it was! I cant wait to work a lace shawl on them!! Good. But I’m not surprised to hear that at all. They are very nice cables and so easy to work with. You never realize how much you are fighting a cable in a circular needle until you get a set that doesn’t give you any trouble. Your blogs are always so informative and fun to read. I almost did as you thought and clicked to read about lace before finishing your post but your posts are so full of good things that I read to the end first – and am happy I did! But you went back and started clicking right? I hope so. I want to get knitters inspired and making lace! Ahh life lines. They are a very important part of lace knitting because yep, tinking lace is a bear!